Stream NPR Music's List Of The 200 Greatest Songs By 21st Century Women+ This list, with everyone from M.I.A. to Alabama Shakes to Esperanza Spalding to Taylor Swift, celebrates how women and non-binary musicians are shaping the sound of music today. 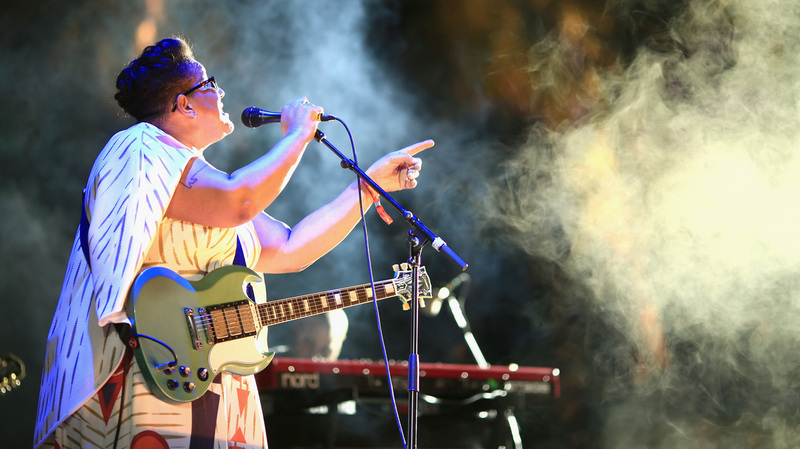 Brittany Howard of Alabama Shakes performs at Coachella in 2015. Alabama Shakes' song "Hold On" is on our Turning the Tables: 21st Century Edition list. Last year, NPR Music issued a correction to the history of popular music with our list of the 150 Greatest Albums Made By Women. This year, we sought to capture a new canon as it's forming with our list of The 200 Greatest Songs By 21st Century Women+. Compiled by more than 70 women and non-binary writers from inside and outside NPR, it celebrates how women and non-binary musicians are shaping the sound of music today. If you'd like to listen to our playlist, below you'll find links to some services where you can stream it. Please note that not all the songs from our list are available on all of these platforms. You can check out all the songs on our full list.